Here's how to enable SFTP access for your Pro Managed WordPress sites. For the site you want to access, click the three-dot icon and select Settings. 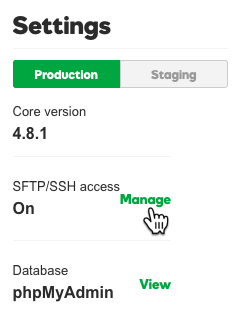 In the Settings section, next to SFTP/SSH access, click Manage. 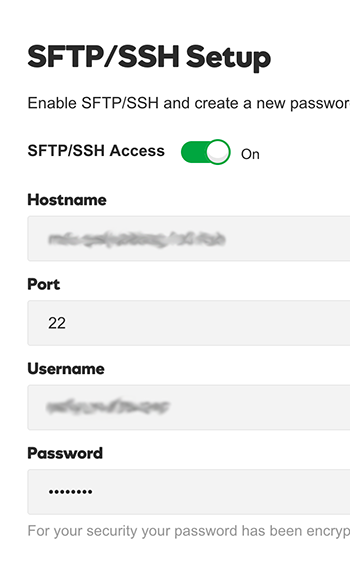 Click the SFTP/SSH Access switch. We'll generate a Username and Password for you. If you like, click Edit to change the password. Use these credentials for SFTP access to your site.